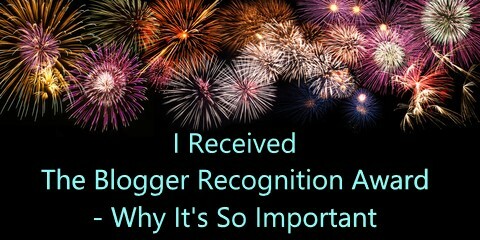 A huge shout out and thank you goes to Gurru Says for nominating me to receive my first Bloggers Recognition reward! Thank you so much darlin’. When I first stumbled across Gurru Says website, I was floored. You know how they say you should never compare yourself to other bloggers? Well…it’s extremely hard not to when you see her site. Her Magazine Blog site has an abundance of fantastic information including; Life Hacks, Kids, Technology (the “how to” of Blogging – My Fav) and More!!! Plus, the layout and the ease of access makes it a top-notch site in my book! 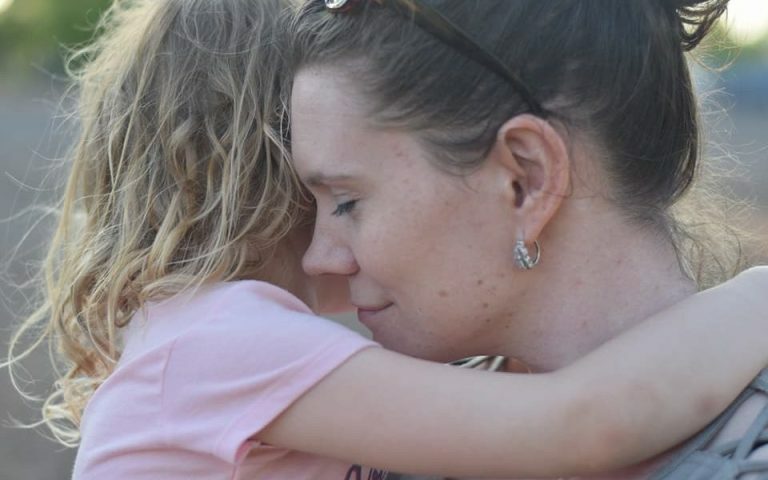 See her Blog Post HERE where she nominates myself and 14 others to share the love. Honestly, her Blog is so phoniminal, I’d say take a pause for a moment and go check it out! It’s THAT GREAT! First, let me start by saying I opened Twitter this morning and saw I was nominated to receive The Bloggers Recognition Award. Here I am staring at my phone thinking….”The what?? ?” I have never heard of this prior, but it didn’t matter. It said reward and my name was attached. Who wouldn’t be excited. I immediatley opened Google and did a search…..Holy Cow!!! So, if you are pondering, “what in the world is this thing they speak of” like I was…here is the scoop! 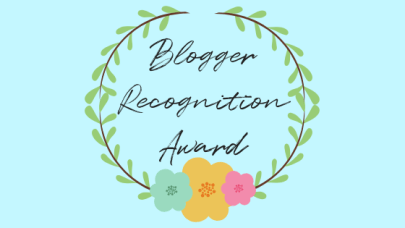 The Blogger Recognition Award, to my understanding, is an award distributed to Bloggers that have been recognized for producing, in my mind, amazing work. They are valued for putting their blood, sweat, and tears into their blogs. (As I know some of us write about our experiences, that can sometimes be a hard one to put out there) Either way, they are now selected to be part of a community for sharing credibility with these things called “backlinks“. (I had no idea what they were till this morning and I want to save others the time to look it up for the full description – I was thinking it may have something to do with Chiropractors and Back issues – Totally kidding, I figured it was just another word I needed to discover with the Blogging world) Anywho, these “backlinks” are a way to connect different sites so when someone goes to read your post they will see the link that will “redirect” them to another one. If you have been nominated, you will want to write a post thanking the person who nominated you. 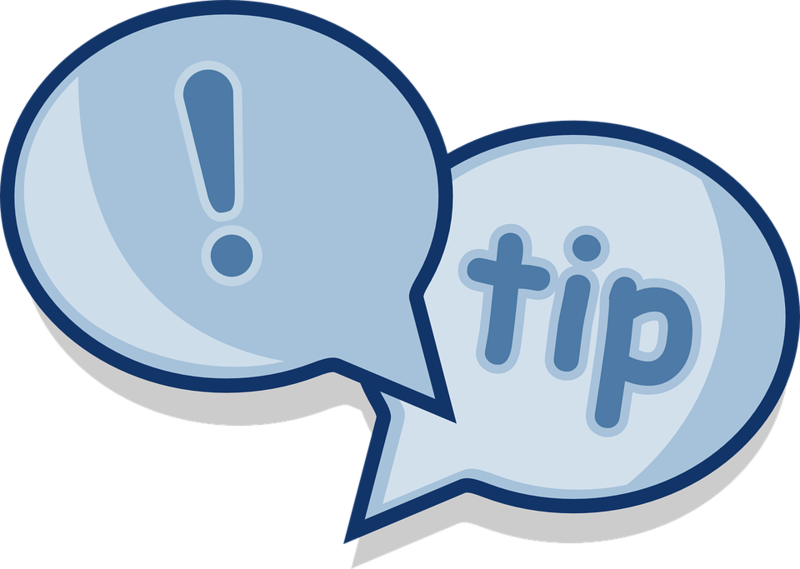 You will want to make sure you add the “backlink” in there as well so others can review their blog. If you’re still not sure how to do that….go back up to the top of my Blog…..you see the “HERE” that is a hyperlink? THAT is the “backlink” that will let others go back to Gurru Says website. After you have written your post thanking your nominator, you will now have the priviledge to nominate your own 10 to 15 Bloggers you feel are doing a great job! You see how this can spiral into an amazing oppertunity to have your website Worldwide? Plus, how nice is it to share appreciation for each other and build fantastic relationships with other Bloggers? If you know anything about me, relationships are super important to me! Write a blog post on your website that talks about you receiving the reward. Make sure you tell those you nominate they have been nominated. (Otherwise, how will they know you love them)!!! As long as I can remember I’ve always wanted to help others. However, finding a way to make a positive impact on other peoples lives on a daily basis can be a little difficult when you have no idea how. Over the last few years, I have read 30+ books related to self-development, goal setting, and time management. Let’s just say…I learned a LOT! The biggest thing that stepped out for me was Getting Out of Your Comfort Zone. When the question of “what if” popped up, I usually turned around and ran the other way. |HERE is also a link to a Blog I wrote, “Do You Say ‘What If” Too Often?”| It didn’t matter how bad I wanted to achieve something – if it was too difficult or there was a risk to fail I was out! Last year I took the leap. After talking to a few friends about ways to impact people through writing, the term Blog came up over and over. I’ll be honest, I had no idea what that even was either. (so sad) But I was still worried. How much time do I need to invest in a Blog? How do I create my website? What topics should I cover? Do I need to schedule stuff? Plus, I have 3 children 5, 7 and 1 month old. How will I find the time? The questions continued, but like I said, I stepped out of my comfort zone and guess what…here we are…. Blog because you love it and do NOT quit. If you just want to write because it passes time, then go nuts. If you want to Blog because you want to leave your 9 to 5 job, like I do, then do it! But under no circumstance quit unless you completely lose all passion for writing. You will have rough days, rough patches, your stats may be low, no comments or likes, it does NOT matter. You are doing this for YOU and as long as THAT is your focus, the rest will come! If you are not tech savy, like myself, find someone to help you. Whether it’s how to set up your website, learning about the best apps or plugins to use, or anything – reach out to someone to mentor you, and go Self-Hosted right away! It’s way better as you have more freedom & better domain names. Now it’s your turn! Congrats on being nominated and have fun creating your post. I look forward to reading all of them!